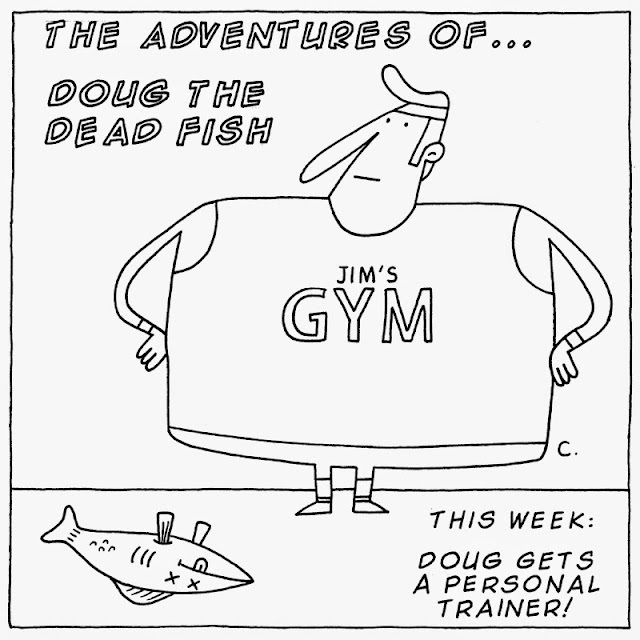 Back by popular demand, here's another thrilling instalment of Doug the Dead Fish. Am I the only one that finds this amusing? I think so. I'm sitting here, alone, giggling to myself at the idea that I have created a character that is a dead fish. It's either a brilliantly original concept, or I need therapy.